When a person who lives in one country allegedly commits a crime in another country, the country in which the crime was committed may be able to extradite the defendant to face criminal proceedings. However, international extradition law can be complex and, as with almost any law, there are some exceptions. 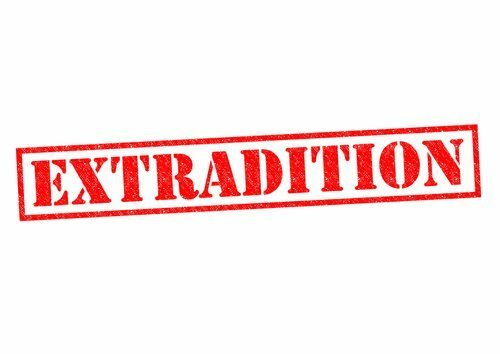 Here’s what you need to know about international extradition. There is no one set of laws that govern international extradition. Instead, if and how an extradition will proceed depends on existing treaties between the two countries involved in the case. For example, if a person who lived in Greece allegedly committed a crime in the U.S., the United States Statutes at Large, Volume 47 would be consulted to determine how the defendant would be extradited from his or her home country to the U.S. When Will Extradition Not Take Place? Some countries, such as France, do not have a treaty that governs extradition. In these cases, it is highly unlikely that the defendant will be extradited to a country that has no treaty. Generally speaking, the crime for which the defendant is being extradited for must also be considered a crime in his or her home country. Also, if the defendant has been found not guilty in their home country for a crime, they may refuse to extradite that person. Many countries also choose not to extradite defendants for certain crimes of a political nature, such as sedition, treason, and the like. Additionally, if the defendant faces torture or death if extradited, the home country may also refuse the extradition. In some cases, if the home country refuses extradition, they may choose to prosecute the crime in their own country according to those laws. Anytime you are involved in a criminal case that involves another country, it is critical that you contact an experienced foreign law attorney who is well-versed in international law. Whether you are accused of committing a crime in another country and face possible extradition, or you are the victim of a crime committed by someone in another country, don’t hesitate to confer with a lawyer who understands foreign law and can assist you throughout the case by working in conjunction with your own attorneys. Contact the Foreign Service Law Office, LLC for a consultation to discuss your legal needs by calling (847) 869-8319 or toll free at (888) 351-7263.